I have great memories of visiting the Pinehurst area as a young golfer. Most summers my dad and I made the three-hour drive from our home in Asheville for junior tournaments, and occasionally short father-son trips. The excitement for my Pinehurst trips was, and still is, rooted in the amount of good golf throughout the Sandhills of North Carolina. With each trip there always seemed to be a new course on the itinerary, and even a decade later there are still plenty I’ve yet to play. There is also comfort in the constants of every trip: the charming Village of Pinehurst, favorite restaurants and pubs, and courses I’ve gotten to know better and better over the years. On the most recent visit, my wife Lucy—who doesn’t play golf—came along for her first visit to the area. My first round of the trip was the recently renovated Pine Needles. 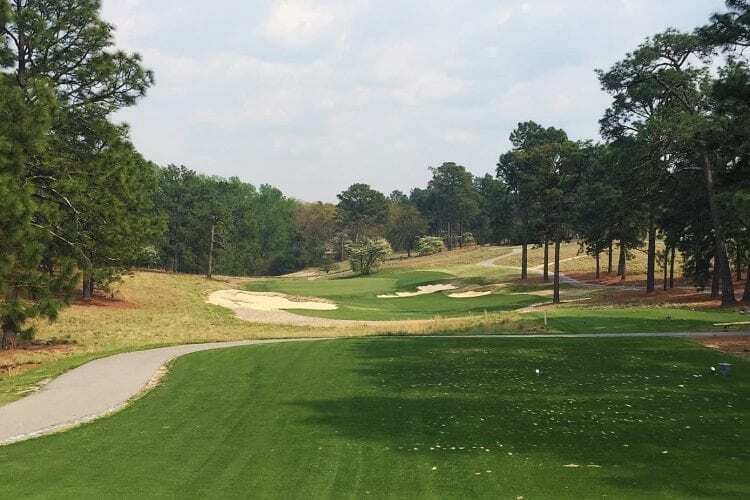 The 100-year-old Donald Ross course was touched up in 2016 by Kyle Franz, whose restoration of sister-course Mid Pines in 2012 firmly established it as one of the best in the Sandhills. Franz gave both courses the Pinehurst No. 2 treatment, replacing much of the rough with sandy natural areas, restoring greens to their original sizes, and rebuilding bunkers to look as if Ross had just finished them. I’d played Mid Pines both before and after its renovation, but this was my first round at Pine Needles. Both courses fit naturally into the rolling landscape and faithfully capture Ross’s style: Expect undulating greens, memorable par threes, and long views through the pine trees. If I had to pick between the two courses, you’d find me at Mid Pines because of its charm and more classic feel, but many disagree, including the USGA, which has chosen Pine Needles as a Women’s U.S. Open venue three times. Everything you’ve heard about No. 2 is true: You need to play it! It is devilishly challenging, impeccably conditioned, and a true U.S. Open experience because of how it punishes every mistake. You will putt off greens, find yourself in tight collection areas, and hit slightly offline drives into enormous expanses of sand. The key to enjoying No. 2 lies in choosing the right set of tees so that your approach shots into the famous “crowned” greens—they’re like upside-down bowls—can stay on the putting surface. It’s a classic Ross design element, and means that higher, softer landing approach shots are especially important. That said, the course is more playable, aesthetically pleasing, and authentic than ever since Coore & Crenshaw restored it to Ross’s specs in 2010. No. 2 is Ross at his best. It’s routed perfectly, especially holes 3–6, 10, and 15–18, where the course flows through natural bends and nooks in the landscape. So what’s the best “second round” after No. 2? My pick is No. 8. It’s a Tom Fazio design that opened in 1996 and is radically different from the many Golden Age layouts Pinehurst is famous for. Think of it as a palate cleanser of sorts that perfectly complements the other rounds. That said, Fazio offers nods to Ross with tiered green complexes featuring false fronts and collection areas. The course also differs from the others by its location on 420 acres of rolling terrain and natural wetlands a few miles from Pinehurst’s main clubhouse. 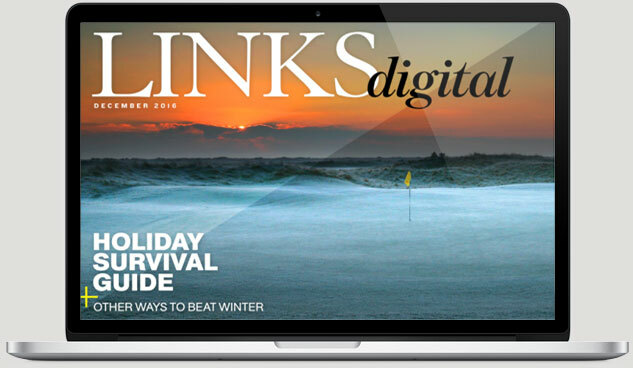 It was recently announced that starting later this year, Gil Hanse is going to restore Pinehurst No. 4—another Ross design—as closely as possible back to its original layout. Once that has happened, that “second round” question won’t be as easy to answer. Tobacco Road is the most polarizing course I’ve ever played: I often hear golfers say they’ll never go back. There are blind shots from the very first hole, seriously sloping greens, and bunkers as deep as mining quarries. And yet I loved this design by the late Mike Strantz when I first played it last year and do so even more after this second visit. As the saying goes, “A blind shot is only blind once,” so the tee shots and approaches that frustrated me the first time were fun challenges on my second visit. You’ve probably never played a course like Tobacco Road, which is exactly why it must be on your itinerary. It’s worth the 30-minute drive from Pinehurst to Sanford. 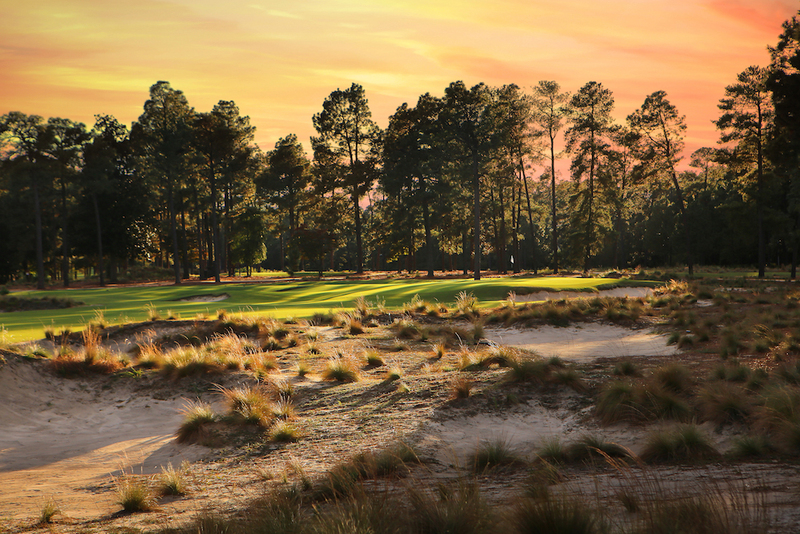 The most efficient and cost-effective way to visit Pinehurst starts with a golf package. Here are two places to look. Pinehurst Resort’s packages present great value. Most popular is a three-round, two-night deal that includes an enormous breakfast buffet every morning and a three-course dinner every night. Depending on time of year the price varies between $718 and $1,378 per person, double occupancy. Playing No. 2 costs another $195, but don’t cheap out. 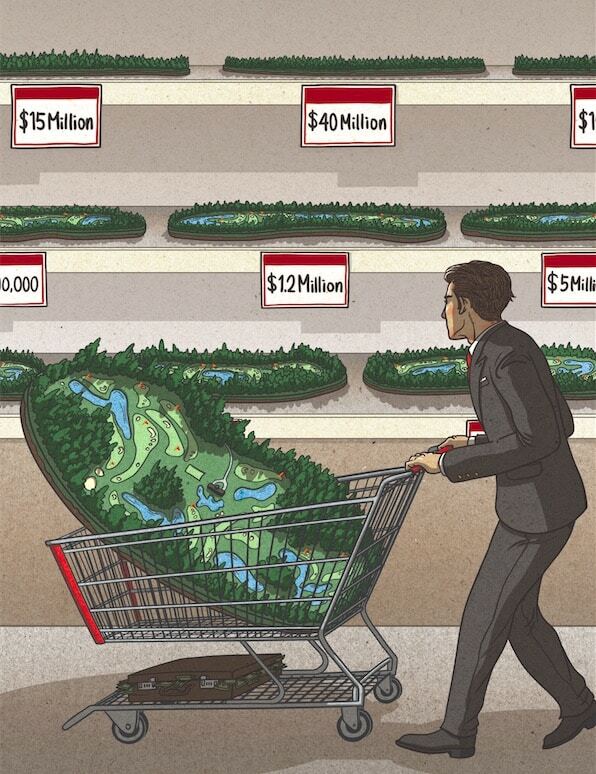 Book a deal like this and tack on at least one other local course coming or going. Tobacco Road Golf Travel offers tremendous deals, especially during the hot summer months. Their “Summer Classics” deal is three rounds—at Tobacco Road, Pine Needles, and Pinewild (Magnolia or Holly)—plus two nights at a Holiday Inn just outside Pinehurst. It’s only $389 per person and cheap enough to let you tack on an extra night and round at the Pinehurst Resort or Coore & Crenshaw’s Dormie Club. I did a deal like this last summer with friends and we couldn’t have had a better time. 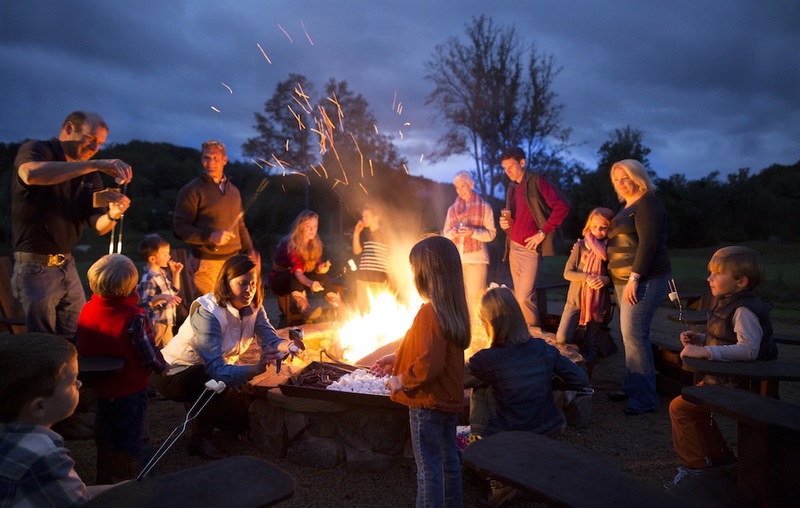 Keep in mind that prices are highest in the spring and fall when the weather is best.